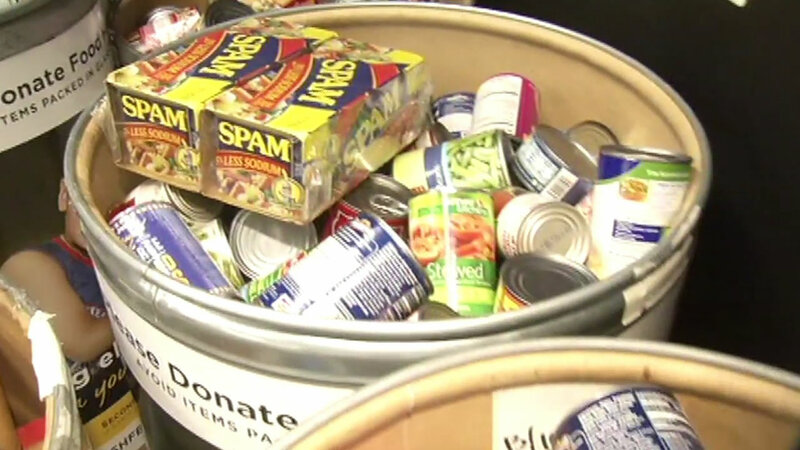 SAN MATEO, Calif. (KGO) -- A Bay Area high school is looking for help with its annual food drive. San Mateo High School is half way to its goal of collecting 150,000 pounds of food after two weeks of collecting. For many, this effort is personal. One in four students at San Mateo High comes from a family in need. "Knowing that it can be our neighbor or best friend even that can benefit from our donations, is just like, you know that you're really helping the community and those who are close to you," student Michelle Kwon said. The food drive is a storied part of San Mateo High's history. In 2005, students set a world record by collecting more than 300,0000 pounds of food. If you'd like to help them reach this year's goal, you have up to Friday to donate. Join ABC7 in helping feed the Bay Area's hungry this holiday season. Find out how you can Give #WhereYouLive.